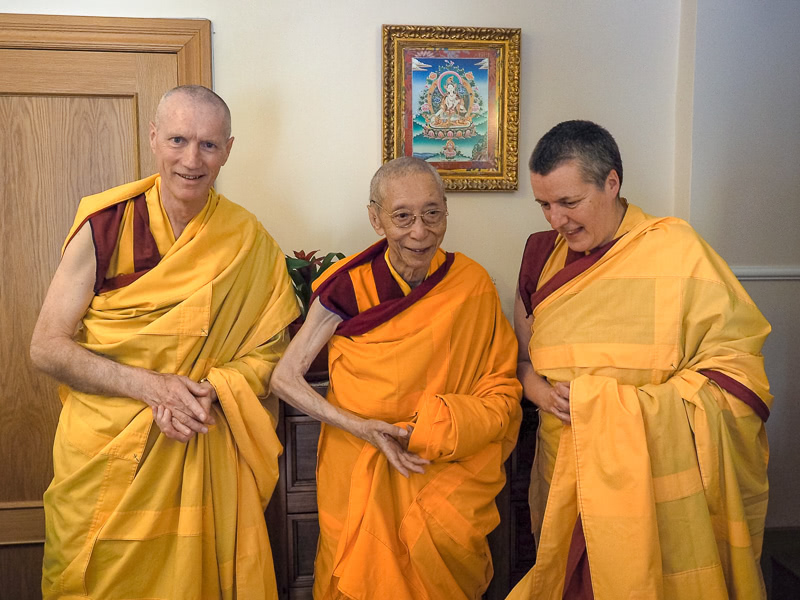 In Spring 2018, Venerable Geshe Kelsang Gyatso Rinpoche gave the oral transmission of his latest book The Mirror of Dharma to Gen-la Dekyong and Gen-la Khyenrab. In The Mirror of Dharma, Venerable Geshe-la gives a special presentation of the essential practices of Buddha's teachings of both Sutra and Tantra. Based on his deep experience gained from a lifetime spent in meditation, and inspired by the unsurpassed teachings of Je Tsongkhapa and the oral instructions of the Ganden Emanation Scripture, Venerable Geshe-la gives personal advice from his heart on how to make our human life meaningful, to learn how to be happy all the time and to solve our daily problems of anger, uncontrolled desire, ignorance and so forth. Using a mirror we can improve our physical qualities, and using the mirror of Dharma we can improve our inner qualities by developing cherishing love for all living beings, compassion for all living beings and loving kindness for everyone until we attain the ultimate good quality of enlightenment. 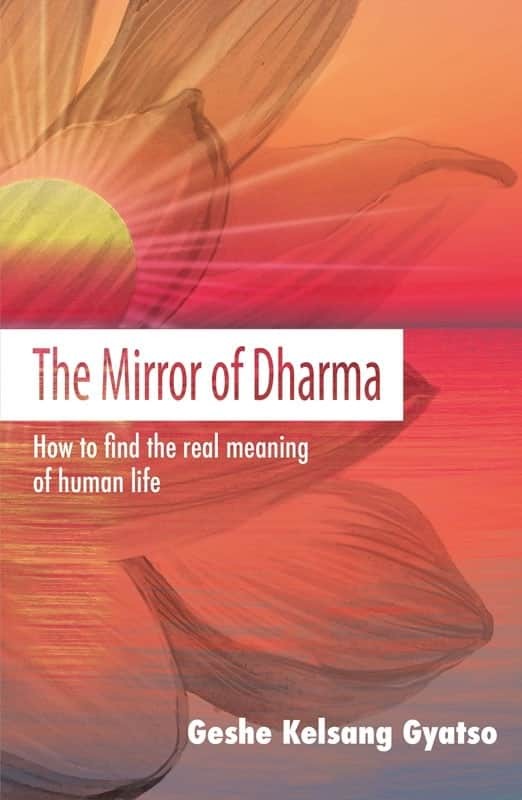 The Mirror of Dharma can be purchased in various languages in printed, electronic and audio format from www.tharpa.com. On the Sunday we will receive the blessing empowerment of Avalokiteshvara. Avalokiteshvara is an enlightened being who is the manifestation of the compassion of all Buddhas; the compassion of all Buddhas appears Avalokiteshvara. He is the synthesis of all Buddhas. 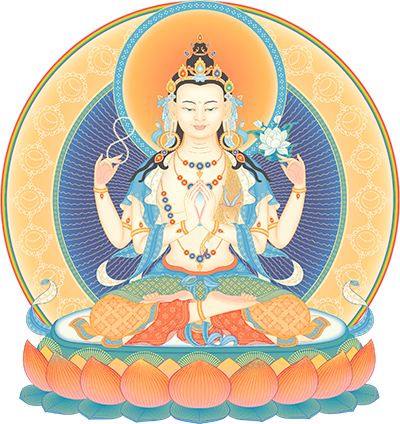 A commentary to the practice of Avalokiteshvara is included in The Mirror of Dharma. We can see and find the sun of the supreme happiness of enlightenment from The Mirror of Dharma.